The prism below is from Wikipedia. From the very beginning of time with the big bang 15 billion years ago, light has played an important part in our universe. In order to grow and to perform its various activities, every living organism needs a supply of energy in some suitable form, in the growth of autotrophic organisms light is essential. This energy allows food-stuffs to grow by the process of photosynthesis (they synthesize organic compounds, primarily carbohydrates, from simple substances, carbon dioxide and water) and this energy contained in the food-stuffs is made available by a biological oxidation ("combustion") of carbohydrates, fats, etc. Heterotrophic organisms are absolutely dependent on supplies of this organic material, occurring outside themselves. In October 1859, the German physicist Gustav Kirchhoff and chemist Robert Bunsen announced the results of their research on the dark lines that interrupted the otherwise continuous solar spectrum. These lines had puzzled scientist since they were first observed in 1814 by the German optician Josef von Fraunhofer. The scientists Bunsen and Kirchhoff had finally confirmed what others had long suspected, namely, that an individual metal produces its own characteristic pattern of bright spectral lines when it is burned. Furthermore, Kirchhoff asserted that Fraunhofer's lines "exist in consequence of the presence, in the incandescent atmosphere of the sun, of those substances which in the spectrum of a flame produce bright lines at the same place." This type of spectroscopy is called atomic spectroscopy and involves the electrons jumping from one energy level to another and emitting or absorbing a characteristic frequency of light; some of these transitions occur in the visible region of the spectrum and can be seen. However light spectroscopy doesn't just occur with visible light, molecules can interact with light from all parts of the spectrum, from the far ultraviolet to the far infrared and microwave regions. Spectroscopy was born as a valid science, we have come a long way from this point and now spectroscopy is an invaluable tool in which to elucidated the structure of chemical compounds. UV light/visible light can be helpful if the compound absorbs light very effectively, for instance when a compound is highly coloured and it provides a method of measuring low concentrations. The UV light can show what groups are present in the molecule, these are known as ‘chromophores'. IR regions can show a lot of information on chemical bonds and functional groups. Molecules are constantly in motion, vibrating rapidly, and these energy levels are mostly in the IR regions measuring the ‘springiness' of the bonds between the atoms. Mass spectroscopy is used to indentify fragments of molecules after they have been vapourised and then broken up into charged particles. By analysing the fragments the way the molecule is put together can be gleaned. NMR is the chemist's favourite tool; NMR depends on magnetic properties of certain nuclei and their effect on the chemical environment. It can be used to deduce the network of bonds in a molecule and identify the atoms close together in space, and how the molecule moves and flexes over time. 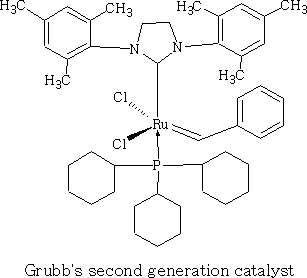 This site is essentially for students or people with a working knowledge of chemistry. You will find a large amount of chemistry which will eventually have a slant towards spectroscopy when this site is finished. If you want to improve your knowledge of spectroscopy then eventually annotated spectra will appear with the chemistry sections to help you understand how compounds can be identified. ANNOTATED SPECTRA ARE STILL BEING PREPARED AND WILL BE ADDED AS SOON AS POSSIBLE. The drug duloxetine which originally was used because it acted on serotonin and noradrenalin was found in blind trials could also dampen down pain by blocking pain signals reaching the brain. It was discovered that it could drop pain levels by between a third and a half compared to the dummy group. The drug is also used to treat other types of pain, it can be effective in diabetic neuropathic pain-this occurs when high blood sugar levels cause nerve damage. There was a drawback in that the duloxetine can cause side effects which can cause nausea and dizziness. 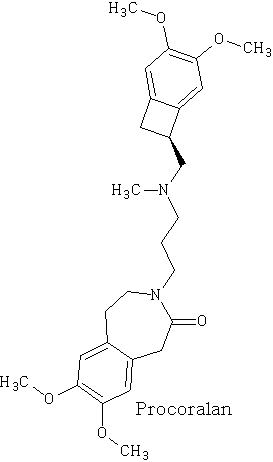 This drug costs around £22 per month which makes it very cheap to prescribe. A pill costing £1.40 a day could potentially save many people suffering with heart failure each year from certain death. The drug marketed as Procoralan is in fact not a new drug but a drug approved in 2005 by the European Medicines Agency and has been used in the treatment of stable chronic angina in people with a normal sinus rhythm that cannot take beta blockers. New data just published show that it can reduce death rates from heart failure by 39% and reduce the risk of death from all types of cardiovascular disease by 17%. The catalytic transformation of pure 1,8-cineole was performed in a custom-built down-flow fixed bed pyrolysis rig over various metal-doped alumina pellets controlled at temperatures between 523 K (250 °C) and 873 K (500 °C). Varying amounts of oxygen were added to the feed. The palladium-doped -Al2O3 catalyst at 250 °C showed excellent yields and selectivity for the continuous production of p-cymene together with hydrogen gas. For the best catalysts and reaction conditions, the process is very atom and carbon efficient, with all ten carbon atoms from the cineole molecule being used in the p-cymene product in an oxygen-free environment. The process uses no solvents and the high yields achieved ensure there is no waste clean-up required. UK chemists have developed reagents that can metallate ethers and ethene at room temperature without them disintegrating. 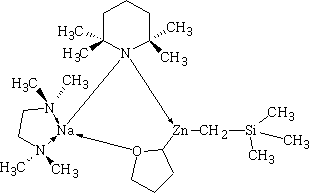 Using combinations of zinc and alkali metals the team made stable, crystalline complexes with carbon-zinc bonds that can then be used in further reactions. A limitation in using hydrogen as a fuel in hydrogen-powered vehicles is the difficulty involved in storing it in a cost-effective and convenient manner. Chemists at UC Riverside now offer a possible solution. A class of carbenes -- molecules that have unusual, highly reactive carbon atoms -- can mimic, to some extent, the behaviour of metals.. Called cyclic alkyl amino carbenes or CAACs, these organic molecules, the researchers report, could be used to develop carbon-based systems for storing hydrogen. In their experiments, the researchers found that the CAACs can split hydrogen under extremely mild conditions, a behavior that has long been seen in metals reacting with hydrogen. "The mode of action of these organic molecules, however, is totally different from that of metals," said Guy Bertrand, a distinguished professor of chemistry who led the research. "Moreover, the CAACs are able to split ammonia as well -- an extremely difficult task for metals." Rice University's Andrew Barron and his group, working with labs in Italy, Germany and Greece, have identified specific molecules that could block the means by which HIV -- the deadly virus that causes AIDS -- spreads by taking away its ability to bind with other proteins. 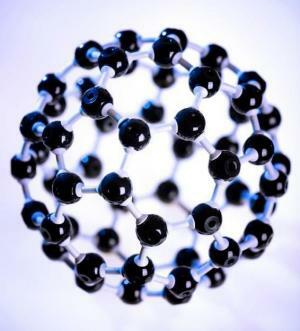 Using computer simulations, researchers tested more than 100 carbon fullerene, or C60("buckyball"), derivatives initially developed at Rice for other purposes to see if they could be used to inhibit a strain of the virus, HIV-1 PR, by attaching themselves to its binding pocket. "A long time ago, people noticed that C60 fits perfectly into the hydrophobic pocket in HIV, and it has an inhibition effect," Barron said. "It's not particularly strong, but there's potentially a very strong binding effect. The problem is, it's not the perfect unit." 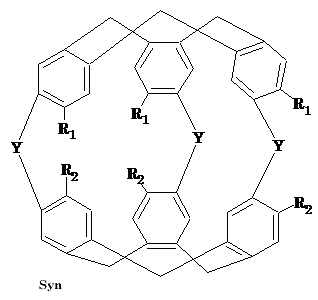 The objective was to find an existing fullerene derivative molecule that could be easily modified to become the perfect unit. ScienceDaily (Sep. 28, 2011) — Even in trace quantities, the radioactive gas radon is very dangerous; it is second only to cigarette smoking as a cause of lung cancer deaths in the United States. The expense and precautions necessary to study it safely have limited research into its properties. Now, University of Pennsylvania chemists have for the first time measured how well radon binds to a molecule, paving the way for future research on it and other noble gasses. The research was led by associate professor Ivan J. Dmochowski, along with undergraduate Vagelos Scholar David R. Jacobson and graduate students Najat S. Khan and Yubin Bai of the Department of Chemistry in Penn's School of Arts and Sciences. The research group have studied how xenon which is also one of the inert gases interacted with an organic molecule called cryptophane. 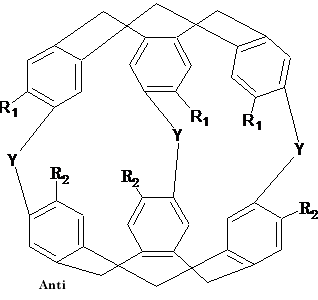 The cryptophane has a cage like structure and the xenon or radon will fill the space in the cage structure. It was found that the radon bound more easily because it was larger and filled the cavity a little better. In 2010 malaria caused an estimated 665,000 deaths, mostly among African children. Now, chemists at Indiana University have developed a new synthesis for the world's most useful antimalarial drug, artemisinin, giving hope that fully synthetic artemisinin might help reduce the cost of the live-saving drug in the future. 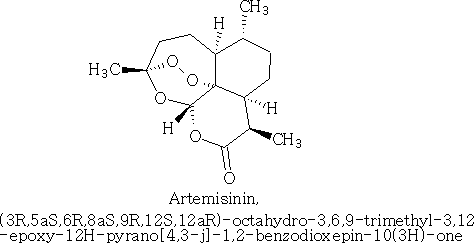 The World Health Organization has set a target "per gram" cost for artemisinin of 25 cents or less, but the current cost is about $2.40 per gram, and production of low-cost semi-synthetic artemisinin has yet to materialize. Published recently in the Journal of the American Chemical Society as "A Concise Synthesis of Artemisinin," Cook and postdoctoral co-author Chunyin Zhu report a succinct five-part process beginning with inexpensive cyclohexenone, an ideal feedstock available on metric-ton scale. Subsequent chemistry highlights several new reactions developed in the Cook group to enable this short, low-cost synthesis. The result was the production of fully synthetic artemisinin on gram scale, greater than all previous total syntheses combined.